"Building the new economy: actionist, enterprise and social and economic change : Environmental Humanism". My focus is on "Building the new economy: actionist, enterprise and social and economic change : Environmental Humanism". I advocate firstly that I am an Actionist focused on science, culture, conservation and heritage. My actions are based on protecting and not protesting about our human and Indigenous rights as complementary rights with nature. My conversation with fellow Australians and world citizens includes the following five points. 2. The need to promote the reality that Australian Aboriginal peoples are the traditional custodians of Australian land, water and biodiversity and continue to manage these natural and cultural assets from the beginning of time into modernity. 3. The recognition that many of the development coming into the regions promotes external and multi-national interest and does not provide the opportunity for Free Prior and Informed Consent necessary for a social licence for large scale industrial developments. To this end, there is limited opportunity to demonstrate the social, cultural and environmental impacts on people, communities, land, water and food security. Bio-regional investment and planning are nonexistent in the Kimberley especially in reference to investment into the current and future collaborations promoting Northern Development White Paper and Strategies and the need to fully unpack the implications of the Trans-Pacific Partnership (TPP)Treaty! 5. Nyikina people are the traditional custodians for the Mardoowarra and we continue to have a strong intergenerational relationship with nature and non-human beings. We uphold our Indigenous and human rights to development. Through our collaboration, we are working with regional, national and international partners to research, plan and develop and protect our land, water and food security. We are exploring science, culture, heritage and environmental assets to build culture and conservation economies on kandri/country. We are looking for partnerships and investment to demonstrate an international climate mitigation for sustainable livelihoods, as a model to save the planet and humanity! I am currently collaborating with a number of colleagues to build complementary knowledge systems to promote and share the Kimberley region's cultural, science, heritage and environmental assets as the catalyst for geo/cultural and environmental tourism as these belong to world citizens. One of the Co-researchers I am working with is Dr Michelle Lim under a ‘New Researcher Grant’ from Griffith University’s, Arts, Education and Law Group. 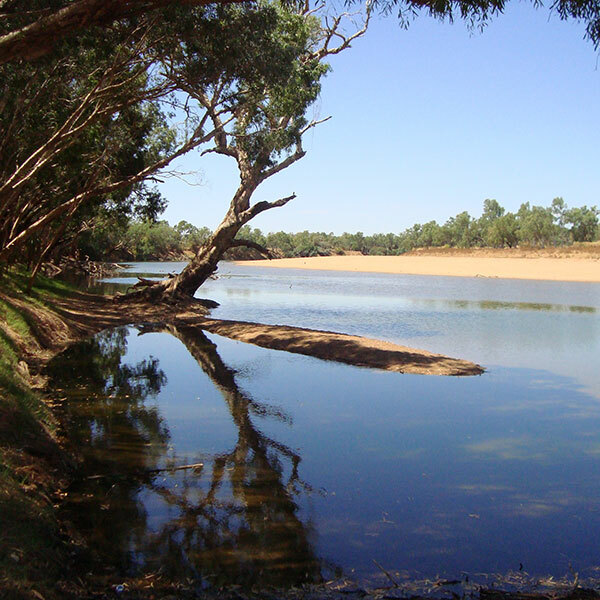 The collaboration aims to develop an understanding of the interactions and feedbacks between the multiple values of biodiversity in the Mardoowarra (Fitzroy River, Western Australia (WA)) catchment. The collaboration will assess the capacity of existing legal regimes to effectively and equitably regulate the cultural, environmental, social and economic values of biodiversity, and the interactions between these values, in the Mardoowarra. The Kimberley region of Northern Australia is characterised by iconic and diverse landscapes and varied assemblages of plant and animal species. The region is, however, subject to increasing threats from agricultural expansion, changed hydrological and inappropriate fire regimes, mining, tourism and invasive species. Recent monitoring data also reveals alarming declines in this globally significant array of native flora and fauna. Biodiversity loss is not only an environmental but also a cultural concern as Indigenous communities make significant use of wild resources. Customary fishing, hunting and harvesting contribute substantially to local food security as well as cultural and medicinal practices which play an important role in cultural identity and creating and sustaining human connections and a sense of place. Such practices are of particular importance in sustaining individual and collective identity where retention of spiritual/religious, kinship and linguistic associations have been heavily affected by colonisation. The Mardoowarra/Fitzroy River has been listed as a National Heritage and it is our duty of care to provide custodianship to this river for All Australians inter-generationally. The Mardoowarra has exceptional biodiversity values of the West Kimberley; and the significant livelihood and cultural practices of traditional custodians that rely on this biodiversity. The Mardoowarra catchment is, however, one of two of the rivers in Tropical North Australia most likely to face agricultural development and increases in water extraction. Grazing is the most extensive land use in the catchment and is accompanied by a resurgence in mining interest and activity. Despite growing recognition of the need for integrated, interdisciplinary approaches that take into account the complex interacting social-ecological issues which impact on biodiversity and human well-being; legal frameworks often undervalue or ignore the importance of biodiversity and ecosystem services for sustainable livelihoods. Further, though there is increasing recognition of the rich heritage of Indigenous Ecological Knowledge and knowledge associated with Indigenous customary systems of resource governance of terrestrial and freshwater systems. Further work is, however, needed to ensure these knowledge systems are incorporated and valued by formal legal and institutional regimes. A systems approach provides a mechanism to consider multiple interacting components at the same time. The approach appreciates that focusing solely on a particular aspect of reality often misses essential issues, leads to fragmented responses and rarely provides long-term solutions. Management and regulatory approaches, however, operate under the false assumption of ecological equilibrium and often fail to account for perverse outcomes that can arise due to feedbacks from multi-sectoral interactions. Some questions we will explore on behalf of all Australians? As the custodians of the Mardoowarra for all Australians, now and into the future, we must explore and current and future challenges! 1. What are the interactions between the multiple values of biodiversity in the Mardoowarra? 2. Does the existing legal framework effectively and equitably manage the threats to the multiple values of biodiversity in the Mardoowarra catchment? 3. To what extent does the current legal regime facilitate management of interactions across economic, cultural, social and environmental objectives that impact on biodiversity? To achieve the collaboration we need to increase our understanding of the interactions between the cultural, social and economic values of biodiversity and the adequacy of the corresponding legal frameworks, the collaboration will develop and apply a participatory systems approach. The approach will enable the interdependent issues that have an impact on biodiversity to be regulated in an integrated manner. The Mardoowarra provides essential real-world context to explore complex human-environment relationships and the realities of legal implementation in a biologically and culturally important part of Australia. Law of Relationships, Law of the Land!